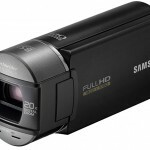 Samsung’s latest affordable HMX-Q10 HD handycam features a new innovation called Switch Grip, which allows right- or left-handed users to easily control the camera. 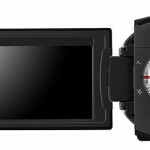 The HMX-Q10 can also be held at any angle and the camera’s G-magnetic sensor will rotate the 2.7” LCD image to adjust. The LCD display is, of course, touch sensitive and incorporates many hard buttons usually found only on the camera body such as turning the camera on and off. 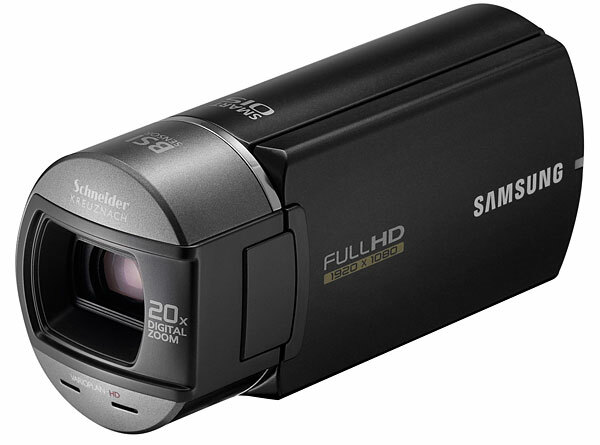 The HMX-Q10 comes with a Schneider-Kreuznach 1.8 10x optical zoom lens and records at either 1920 x 1080(60i) or 1280 x720(60p) to a 5MP BSI CMOS sensor. Other features include Face detection (up to 6 persons), Optical Image Stabilization (OIS), and SD recording capabilities. The still camera functions of the HMX-Q10 are pretty weak at 4.9 Megapixels, but why would you use a video camera for stills anyway? The Samsung HMX-Q10 will be shown at CES 2011 in Las Vegas and is scheduled to ship in Feb. 2011.